Tashia Lenette Woods pleaded guilty to charges on Thursday. A Nashville, Tenn., woman was sentenced to 12 years in prison Thursday after trying to cover up events when her 5-year-old nephew found a gun in the family’s Cobb County Hotel room, and fired at a 3-year-old, striking him in the mouth. 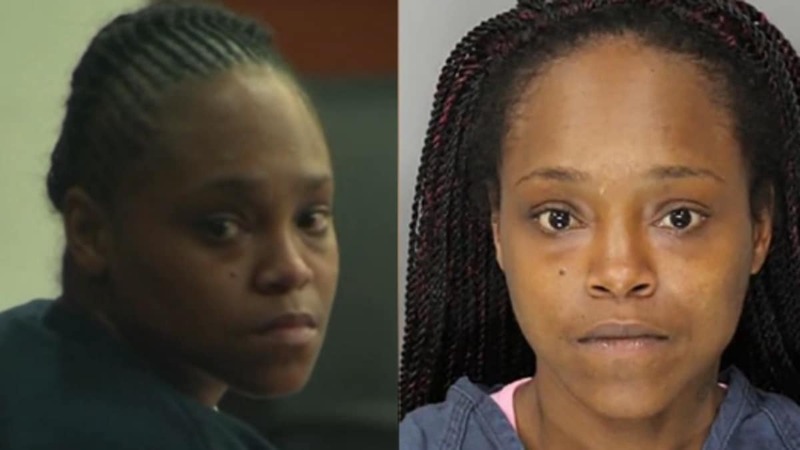 Tashia Lenette Woods pleaded guilty to charges of felony child cruelty, theft, possession of a firearm by a convicted felon, possession of a firearm during the commission of a felony, reckless conduct and two counts of tampering with evidence, according to The Atlanta Journal-Constitution. She also faces eight years’ probation after serving time. The incident occurred on May 28, 2018, when Woods left a loaded black semi-automatic Taurus .380 handgun in an “unsecured bag” in her room at Comfort Inn and Suites hotel in Cobb County while on a family vacation at Six Flags in Georgia, police said. Her five-year-old nephew found the gun and unfortunately shot her boyfriend’s 3-year-old son in the mouth while the victim’s father and Woods were both outside the room. The man was smoking a cigarette and Woods was looking for marijuana she accidentally threw away, according to Lindsay Raynor, assistant district attorney. Although there was another adult in the room, he or she was sleeping leaving the toddlers and an 11-year-old unsupervised, the report said. Woods stole the weapon five months before the incident from a gun store in Clarksville, Tenn., throwing it first in a trash can. She later changed her mind, and hid the weapon in a makeshift compartment in her car. After the shooting, Woods reportedly never called 911 to report the incident, the victim’s father instead drove him to the hospital. the victim’s mother said her son lost teeth and is having speech issues. “He still wakes up in the middle of the night crying. My son is very strong,” Raynor said in court from a letter written by the mother. For her part, Woods expressed remorse.